Back in October a good friend posted a nail art idea to my Facebook wall that I just HAD to try. For those of you that don't know me too well, I am a crazy cat lady. And proud! There is never a bad season for cat nails. 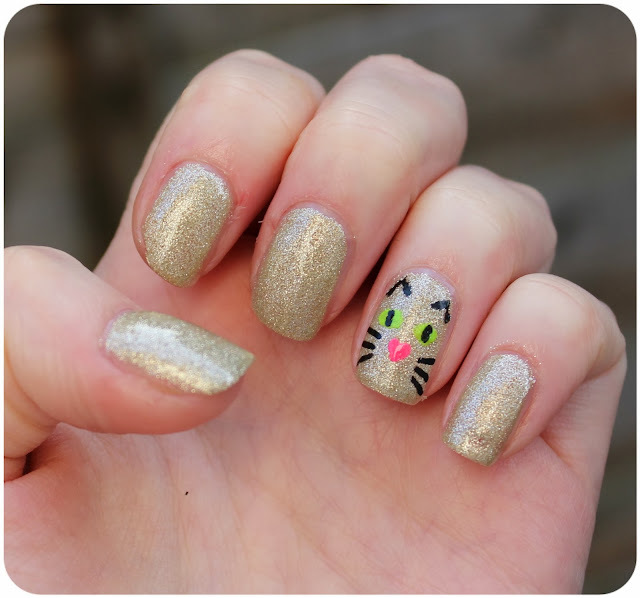 For the party season, what better way to showcase cat nails than with a sparkly base? I chose Bora Bora from Models Own as it's a gorgeous, glittery gold that works well both in summer and winter. 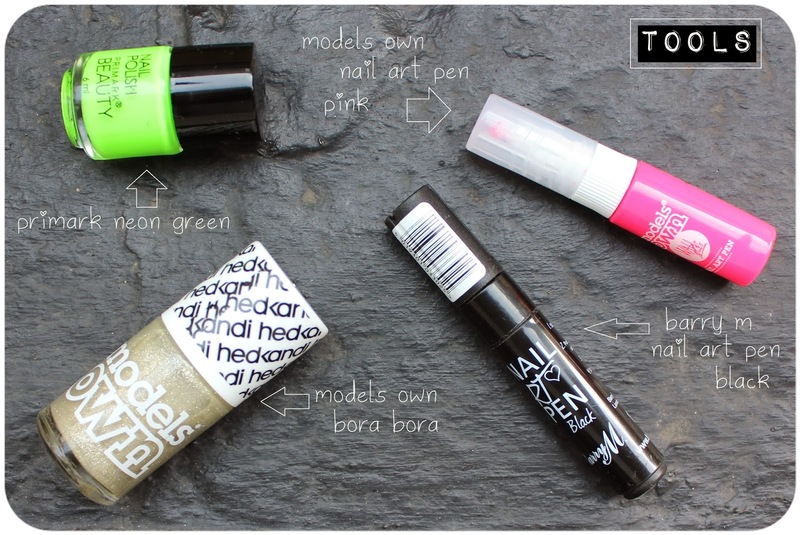 I used Barry M's black nail pen for the lines, Primark's neon green for the eyes, and Models Own's pink nail pen for the little heart nose. This look was super easy to create. I just painted my nails with Bora Bora and then chose a nail for the cat face. I started the face with the pink heart nose. Next I added the eyes. Lastly I drew on the black details. Easy peasy! Of course, *I* have to say I like these (especially the ring finger)!